Saishuu Heiki Kanojo Saikano She The Ultimate Weapon Chise hard cover protects the back and sides of your phone from accidental bumps, drops and scrapes. The tough plastic shell will keep your Huawei P8 Lite (2017) safe from accidents. Our Huawei P8 Lite (2017) Phone Case offer easy snap-on attachment for a perfect fit and give you quick and easy access to all your phone's features. Huawei P9 Plus Dimensions : 152.30 x 75.30 x 7.00 mm. 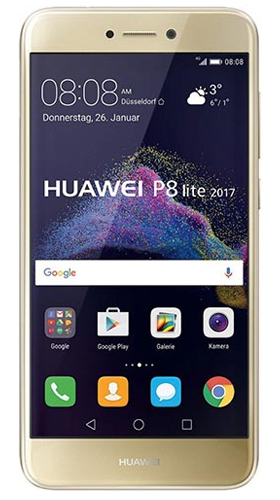 Huawei G9 Lite, P9 Lite Dimensions : 146.80 x 72.60 x 7.50 mm. Huawei P9 Dimensions : 145.00 x 70.90 x 7.00 mm. Huawei P8max Dimensions : 182.70 x 93.00 x 6.80 mm. Huawei ALE-L21, P8lite Dimensions : 143.00 x 70.60 x 7.70 mm. Huawei GR3 (2017), Nova Lite, Honor 8 Lite, P9 Lite (2017), P8 Lite (2017) Dimensions : 147.20 x 72.90 x 7.60 mm. Huawei P8 Dimensions : 144.90 x 72.10 x 6.40 mm. Huawei P20 Pro Dimensions : 155.00 x 73.90 x 7.80 mm. Huawei Nova 3e, P20 Lite Dimensions : 148.60 x 71.20 x 7.40 mm. Huawei P20 Dimensions : 149.10 x 70.80 x 7.70 mm. Huawei P10 Plus Dimensions : 153.50 x 74.20 x 7.00 mm. Huawei P10 Lite Dimensions : 146.50 x 72.00 x 7.20 mm. Huawei P10 Dimensions : 145.30 x 69.30 x 7.00 mm. Huawei Maimang 5, nova plus Dimensions : 151.80 x 75.70 x 7.30 mm. Huawei nova 2 plus Dimensions : 153.90 x 74.90 x 6.90 mm. Huawei nova 2 Dimensions : 142.20 x 68.90 x 6.90 mm. Huawei nova Dimensions : 141.20 x 69.10 x 7.10 mm. Huawei Moto X Pro, Nexus X, Nexus 6, Nexus 6P Dimensions : 159.30 x 77.80 x 7.30 mm. Huawei Mate SE, Honor 7X Dimensions : 156.50 x 75.30 x 7.60 mm. Huawei Mate S Dimensions : 0.00 x 0.00 x 0.00 mm. Huawei Mate RS, Mate RS Porsche Design Dimensions : 152.90 x 72.50 x 8.50 mm. Huawei Mate 9 Pro Dimensions : 152.00 x 75.00 x 7.50 mm. Huawei Mate 9 Dimensions : 156.90 x 78.90 x 7.90 mm. Huawei Mate 20 X Dimensions : 174.60 x 85.40 x 8.20 mm. Huawei Mate 20 Pro Dimensions : 157.80 x 72.30 x 8.60 mm. Huawei Mate 20 lite Dimensions : 158.30 x 75.30 x 7.60 mm. Huawei Mate 20 Dimensions : 158.20 x 77.20 x 8.30 mm. Huawei Mate 10 Pro Dimensions : 154.20 x 74.50 x 7.90 mm. Huawei Mate 10 Lite Dimensions : 156.20 x 75.20 x 7.50 mm. Huawei Mate 10 Dimensions : 150.50 x 77.80 x 8.20 mm. Huawei Honor V8 Dimensions : 157.00 x 77.60 x 7.80 mm. Huawei Honor Play Dimensions : 157.90 x 74.30 x 7.50 mm. Huawei Honor Note 8 Dimensions : 178.80 x 90.90 x 7.20 mm. Huawei Honor 9 Lite Dimensions : 151.00 x 71.90 x 7.60 mm. Huawei Honor 9 Dimensions : 147.30 x 70.90 x 7.50 mm. Huawei Honor 8X Max Dimensions : 177.60 x 86.30 x 8.10 mm. Huawei Honor 8X Dimensions : 160.40 x 76.60 x 7.80 mm. Huawei Honor V9, Honor 8 Pro Dimensions : 157.00 x 77.50 x 7.00 mm. Huawei Honor 8 Dimensions : 145.50 x 71.00 x 7.50 mm. Huawei Honor 7 Dimensions : 0.00 x 0.00 x 0.00 mm. Huawei Honor 10 Lite Dimensions : 154.80 x 73.60 x 8.00 mm. Huawei Honor 10 Dimensions : 149.60 x 75.20 x 7.70 mm. Huawei G8 Dimensions : 0.00 x 0.00 x 0.00 mm. Huawei Ascend P7 Dimensions : 0.00 x 0.00 x 0.00 mm.